Job interviews can be daunting, but they can also be characterized by being usually unique. No matter how much you know about them, you can’t ever encounter an exact copy of an interview – different industries and different companies have their own unique ways of conducting interviews. These differences are especially clear in the examples of interviews at startups and big companies. In this post, I’m going to outline the differences in four key areas: preparation, tone, structure, and the post-interview process. You should know by now that the interviews are more than just a meeting with the prospective employers where you’re supposed to answer questions. You can’t just show up on the day and hope you can convince the company of your value and skills. The interview process starts from the moment you consider applying; not only do you need to research whether the role is worth applying to, but you also need to prepare for the upcoming interview. Just as you wouldn’t show up to a 100m final without warm-up, you shouldn’t show up to a job interview without preparing yourself for the questions and arming yourself with the right knowledge. After all, running a race without warm-up can cause you to pull a muscle and showing up for an interview without preparation can end up with you falling at the last hurdle. When it comes to differences between job interviews at startups and big companies, the distinct nature of the process becomes evident during this preparation process. How? Let’s look at how you need to research and prepare in both instances. If you get an invitation to attend a job interview, you have to spend quite a bit of time preparing for the interview. Preparation is crucial to help you feel more relaxed and to ensure you highlight your expertise and skills appropriately. Big companies require a lot of preparation – they don’t differ much from any basic job interview, in the sense that you need to have a good grasp of the role in question and the organization you are hoping to join. Who are you and what have you done in your professional life? This includes being able to highlight your education, your previous work experience and any other professional achievement you might have received over the years. It’s about memorizing and understanding your professional timeline – showing year by year how you’ve taken steps to boost your career, whether through studies or jobs. What is the company you are applying for like? You need to understand what the company does, what is its place within the industry it operates, and the kind of business culture it represents. Big companies often ask questions aimed at understanding and evaluating your knowledge about them and to realize whether you are the right fit to their corporate culture and mission. If you can’t understand what the company is doing and how it is doing it, you can’t necessarily create an image of yourself that says you are passionate and exited at working there. So, you need to learn things about the company, understand its business culture, and its business focus and objectives. What the role is about? You also need to research the role in question. In big corporations, the role’s specific requirements and responsibilities are often carefully outlined in the job description. You are most likely applying for a specific title, such as ‘Senior Accounts Manager’. Since you are given a title, you can research it, get a better understanding of the responsibilities, and therefore, be better equipped at answering questions about the role. You can also talk to people working in similar roles, but in different companies, to get a broad understanding of what to expect – not only from the interview, but the role itself. Why you are applying for the role and what can you provide for the company and the role? Finally, your preparation will focus on your specific reasons for applying for the role and especially how you and your skills fit the role. You need to be able to provide information about your skills and experiences, and relate it to the job and the company in question. The essence of preparation for an interview at a big company is on understanding the role you are asked to perform and to be able to showcase how you are the right fit for the company with your skills and your expertise. Now, while the preparation doesn’t necessarily differ that much from the above – you still need to be able to know your own professional qualifications, the basic information about the company and the role, and be able to showcase your fit – there are subtle differences in what you can find out and what you should focus on in your research. Since you are interviewing for a startup, you are essentially trying to research a company that doesn’t have a huge online presence or history. You won’t find a list of previous or current employees to talk to, as the company might not have been in operation for more than a few months, for example. Furthermore, the job description might not be quite as rigid with a startup as it is with a big company. While the application might be looking for an ‘IT manager’, the role can include different duties to those in established companies. In the most obvious cases, you might be in charge of creating and developing the IT department rather than joining an existing and well-oiled department and simply overseeing it. So searching the role beforehand is not quite as easy or useful. Instead, the key is to prepare yourself for the mission and the culture of the startup – what is the objective of the organization? With your preparation, you want to be able to highlight that you understand the mission and to showcase how you can add value to achieving the objectives the company has. Furthermore, you need to focus on the bigger picture. What is the marketplace for the company and its product? If you can show a solid understanding of the industry the company is trying to break in, you can present yourself as someone who knows how to grow the organization to the business it wants to become. One interesting and important part of preparing for an interview with a startup is understanding what startups are. What I mean is that an established business has different challenges to a company that is looking to break into the industry. Therefore, if you are able to understand the unique nature of a startup, you can highlight your expertise and value much better. So, prepare also by getting deeper into the essence of a startup as a business model. So, what about the actual interview? What are the differences in approaching the job interview and what can you expect when you are interviewing with a big corporation or a startup? While the preparation is essentially rather similar, with only subtle differences in the focus, the approach to the interview and the interview environment are starting to showcase major differences between the two organizations. A big company and its approach to job interviews can be described with a single word: formal. The big companies tend to take a serious and extremely professional approach to interviews, which is highlighted in the atmosphere and the mood of the interview. The formal and professional attire sets the tone for the whole interview. The process will be highly structured, with the interview consisting of pre-set questions that you are expected to answer. The meeting is most likely going to last a specific amount of time after which you are notified of the next steps in the process. The attitude and atmosphere during the interview will maintain a cordial, yet professional attitude. The focus is essentially just to evaluate your fit for the role and the business. Like I’ve said above, big companies are looking for a specialist or an expert. They want someone who is highly qualified for the role and can perform the tasks required to the best possible ability. The whole focus of the interview is therefore to establish whether the candidate has these qualifications. There is no time for fun and games – the tone is formal and it’s likely extremely efficient. You are expected to use professional language and highlight efficiency in getting to your point. Delays in the process are not appreciated or welcomed. Furthermore, the conversation is structured in a much more hierarchical way. You have the interviewer asking the questions in a formal manner, while you answer them to the best of your ability. On the other hand, the atmosphere in an interview for a startup is much more informal and relaxed. For start, the dress code is often rather different to big companies. We all know the stereotypical image of a startup company executive, running around in sneakers, jeans and a t-shirt. 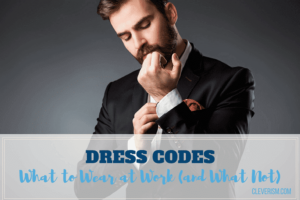 While you might not want to follow this dress code at your interview, you should check out the startup dress code and perhaps relax your business attire a little. So, instead of heading out in a jeans and a t-shirt combination, you add a shirt and a blazer to the look. The key is to do a bit more research and perhaps opt on the side of casual more than business. Furthermore, the relaxed nature is often reinforced with the lack of formal office space. Startups might work in a public space, such as an incubator office, or have a limited open space where it conducts interviews – in fact, you might even have the interview in a public space such as a coffeehouse. This means the occasion is less formal and doesn’t follow a rigid structure. While there are questions they will ask you and so on, the process doesn’t necessarily follow a strict schedule or a format. The conversation might flow depending on how much you know about the sector and the kind of input you are able to add to the company’s project. The conversation is likely to follow a more informal structure and be less stifled with formal language. This doesn’t mean there isn’t a lot of industry jargon or professionalism at play; it’s just that the conversation is more about having two professionals discussing things over a glass of wine rather than an authority figure asking questions while you answer. Indeed, Corey Chambas, the president and CEO of First Business Financial Services, refers to this process of finding the right fit as the “beer test”. It’ essentially about hiring a person you wouldn’t mind having a beer with after work – i.e. ensuring you get along. Indeed, startups are looking for an individual – someone to add something to the company’s vision, not necessarily the expert in a specific role. The focus of the interview and the atmosphere is not to find the person most suited to help with accounting, for instance, but someone who has a vision to help the startup with its finances and to add something to the whole team. It’s more about the fit you have in terms of your personality and your passion, rather than the technical ability and skills you bring. You want to emphasize the passion you have towards the project and your ability to build on the company’s initial successes. Now you’ve set the right tone. You look the part and you use the right type of language during your interview. But what happens in the job interview? I’ve given a few insights already, but let’s take a closer look at the differences in the structure and the contents of the interview at startups and big companies. Let’s recap the most important point about big company job interviews: they are formal in nature. The process is structured and every single interview the company does for the role in question is highly likely to follow the exact same formula. First, the interviewer is from the company’s HR department and has specialized in the hiring and interviewing process. Second option is for the interviewer to be an HR specialist from a recruitment company, i.e. not part of the actual company, but hired to do the interviews for them. In both instances, the interviewer knows what they are doing and they are going to be good at it. The interview will include a list of common interview questions, and perhaps some tasks for testing your aptitude. As well as answering questions, you are most likely going to have an opportunity to ask questions about the role or the organization as well. But, the focus is on finding out if your skills match those of the company’s requirements. Your big company interview experience could be described as a passive experience. Not in the sense that you are just going to sit there, but your role is to answer questions the interviewer asks and to follow their instructions. This can include situations where they want you to show initiative by asking questions or presenting ideas for taking the company forward, but these are pre-planned moments and aimed at finding out specific things about you. Now, the person you’ll find on the other side of the table at a startup is unlikely to be an HR specialist. The owner or the CEO of the business more often than not conducts the interview at startups. In a sense, you are facing the boss right from the onset. This could add quite a bit to the pressure of getting through the interview! The good news is that if you impress the interviewer, then you probably have the boss in your corner right from the get-go. Since the interviewer isn’t specialized in hiring or evaluating candidates, the format will be more relaxed and it won’t follow such a rigid structure. You can’t prepare with the traditional guides in mind, as you won’t know what type of interviewer this specific startup executive or team member is. There will surely be certain common questions and things you can prepare for, as mentioned above, but the actual structure and flow of conversation is much harder to predict or prepare for. Indeed, the interview can seem more like a conversation rather than a question and answer session. In this sense, the startup interview will be a more active experience for you. You are expected to take control – to direct the conversation and talk about your passion towards the industry. As I mentioned above, the focus is on ensuring you fit the team and the mission, and so you want to impress the interviewer with your understanding of the industry and your ideas for the company going forward. So, don’t relax too much and just provide answers when the interviewer asks questions – be bold and don’t be afraid of taking control. A job interview isn’t just an hour spent in a room answering questions, as I said at the start. The process starts long before you enter the interview and it doesn’t end as you say your goodbyes. Whenever you attend an interview, you should always follow it up. Nonetheless, there are slight differences in tone between big companies and startups. Big company job interviews can actually include more than one stage. The process from application to hiring can last much longer and therefore you need to be aware of this process. Your first interview might just be about finding a selection of candidates, especially if a recruitment company interviews you, with another interview being conducted by the actual company or its representative department. So, be aware of the process and ask at the end of the interview what is going to happen next. You want to know when you should be expecting to hear from the company and have an idea whether further assessment or interviews are expected. After you’ve been interviewed, you want to follow-up with the interviewer no matter what the process afterwards is going to be like. 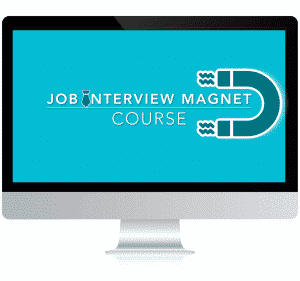 So ensure you have the contact details of the person who conducted the interview. Thank them for the interview and express your gratitude for the opportunity. Follow-up on any questions they might have asked or correct any points you made during the interview. If you have questions about the role or the interview, you can also ask them. Return a compliment or mention a topic you discussed during the interview. Thank again for the interview and tell them to contact you if there’s anything. The tone of the e-mail should be professional and formal. You also want to keep it relatively short and you shouldn’t necessarily expect the person to reply, at least not until they have news regarding the role. 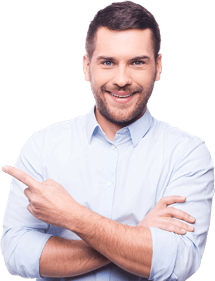 If you haven’t heard from the recruiter after a few weeks, you can always give them a call to show enthusiasm and to check whether you are still being considered. Thank the interviewer for the time and the opportunity. Follow-up on any points discussed during the interview and present any ideas you have come up with after the interview. If you discussed industry news or new ideas that you think the startup might find useful, provide them information regarding these and perhaps give out links or reading suggestions on topics you touched on. Thank for the opportunity and ask them to contact you if they want to talk more. The follow-up is another opportunity to showcase your passion for the project and therefore, the idea of sending resources or adding to an idea you talked about is crucial with startups. The tone of your e-mail should also follow the kind of interview you had – which is likely to have been less formal anyway. So, if you were on personal terms and you discussed personal topics, such as family, you can mention this in the follow-up and keep the message tone informal and friendly. Furthermore, in terms of the process, your interview with the startup might well be the only interview you need to attend. In some instances, they might ask you back to meet the rest of the team and guarantee you are the right fit, but you’ll most likely be dealing with the top executive and major members of the team right from the first interview. As I said at the start, interviews are never alike. The roles, the industries, and the companies add their own flavour to the process and the emphasis will differ. While you’ve seen plenty of similarities with big companies and startups, the above should also have highlighted the key differences: the different things the interview is going to focus on in terms of skill and cultural fit, the tone of the interview from the formal nature of big companies to a more relaxed approach with startups, and the machine-like structure of big companies in asking questions compared with the more bespoke-style of startups. Knowing these differences can help you prepare for the interview and the preparation can be a crucial factor in helping you feel more relaxed and confident during the process. When you know what to expect, you can have more confidence in answering the questions, directing the flow of the conversation, and focus on the exact points on why the company in question – whether it’s a big company or a startup – should hire you for their team.